Keeping up with trainings and school holidays can be a challenge when your plate is already full. Check back here often to keep your schedule current. Or use technology to its fullest, and subscribe to this page to be updated when we add new events to the calendar. 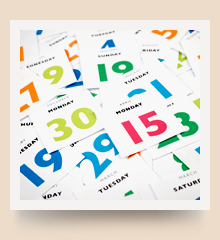 Our member district calendars are available here for you!